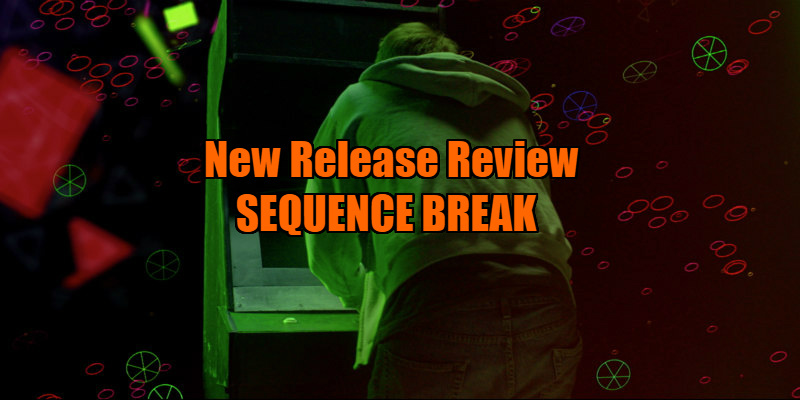 An arcade technician becomes dangerously obsessed with a mysterious game. One of the great under-rated horror movies of recent years is Jackson Stewart's Beyond the Gates. Two of the stars of Stewart's movie, Graham Skipper and Chase Williamson, reunite for Sequence Break, written and directed by Skipper and starring Williamson in the lead role. 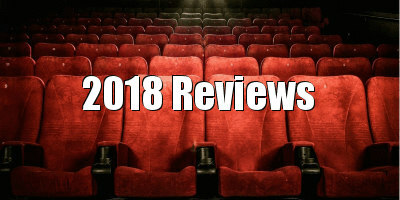 Both films make for a dove-tailing double bill of horror movies that employ the genre, and the current obsession with all things 1980s, to explore the dangers of nostalgia and seeking sanctuary in the comforts of your childhood. Where Beyond the Gates revolved around a VHS board game (younger readers may need to ask your parents), in Sequence Break it's a stand-up arcade game (again, ask your parents - this is all making me feel very old) that causes the trouble here. Williamson is Oz, a millenial who toils away happily fixing old arcade games for a small company that sells them on to collectors. The work brings Oz small pay but great joy, and he tinkers with his machines with the care of a veterinarian coaxing a foal from a pregnant mare. It's a job with as much future potential as that of a pager salesman though, so it's no surprise when his boss (Lyle Kanouse) breaks the news that business is going nowhere and he's shutting up shop in a month's time. After hearing the bad news, Oz heads to a local bar and gets wasted, unaware that his boss has been murdered by a mysterious hobo who leaves a brown envelope at the shop. While drinking, a pretty and outgoing young woman, Tess (Fabianne Therese), approaches him and strikes up a conversation. A fellow retro game geek, she had visited the arcade shop that day but Oz was so wrapped up in his work he barely noticed her. With the conversation very much led by Tess, the two agree to meet the following day for food and a bit of gaming. Returning to the shop, where he sleeps on a makeshift bed, Oz finds the brown envelope, which contains a motherboard. Hooking it up to an empty game cabinet, Oz discovers it contains a game unlike no other, one which causes him to hallucinate wildly, the cabinet turning into a living, breathing organism, his experience of playing the game literally turning orgasmic as his fingers sink into the cabinet's fleshy folds, the joystick turning rubbery and gooey at his touch. The following day, Oz and Tess hook up, beginning a passionate relationship, but Oz finds himself drawn more to the game than to the woman who loves him. The title of Skipper's film refers to the act of cheating a video game by skipping the actions required to complete it. In the case of classic '80s games, a sequence break might also refer to the phenomenon of pushing a game to its limits, to the point where it essentially self-destructs. Through such gaming terminology, Skipper has hit on an ideal metaphor to examine the rut so many young men find themselves trapped in in today's uncertain world, and how so many men (some women, granted, but this is predominantly a curiously male phenomenon) seek refuge in childish delights. Today we have a generation of grown men who refuse to act their age, spending their days playing video games and watching children's movies rather than embracing the possibilities of life as an adult. Oz's favouring playing a video game over spending time with a girl as beguiling as Tess says it all really. Perhaps Oz, and the young men of his ilk, embrace video games because they promise an end point. Unlike life, they can be conquered if you can figure out the formula, if you take the right turns at the right moments, and where the real world is a beast that morphs in uncertain ways, a video game never changes, and you get more than one life to make mistakes. Like his namesake in the 1939 movie, video games allow mild-mannered men like Oz to hide behind powerful personas, though at least Oz isn't using such anonymity to harass people on the internet. Comparisons to David Cronenberg have been made thanks to the body horror element of Sequence Break, and there are sexualised images of human flesh mingling with wiring that wouldn't be out of place in something like Videodrome, but Skipper's film, with its brief 80 minute running time, owes more to The Twilight Zone. It's a parable with a message of advice for the viewers who may be drawn in unwittingly by its promise of an '80s aesthetic. While Ready Player One goes easy on its primary audience of pop culture obsessives, Sequence Break is far more scornful, like Rod Serling has come back from the grave to tell the young men of today to get a life, put the joypad down and call up that nice girl you like. Or as the film tells it, look between the ones and zeros. 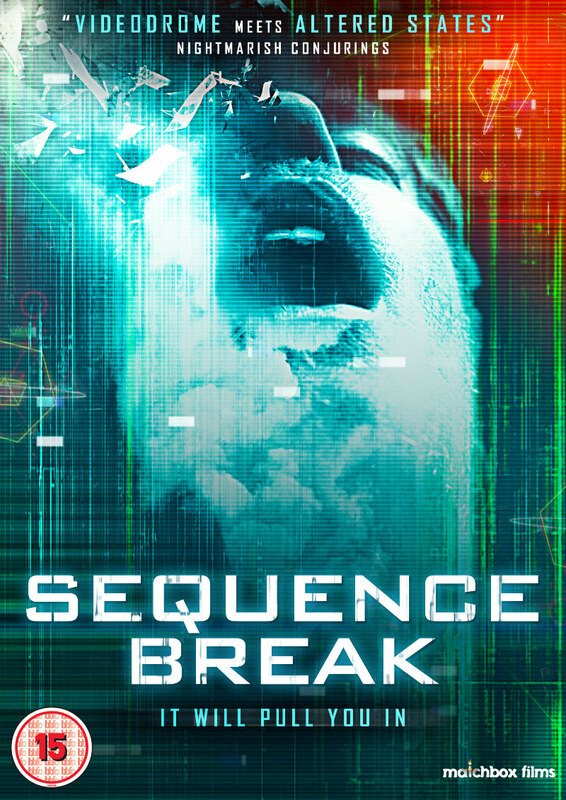 Sequence Break is on DVD June 11th.